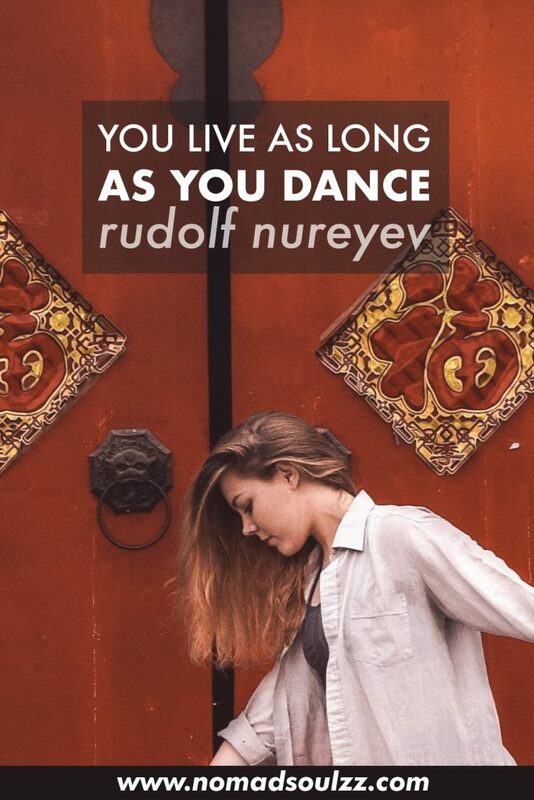 Today I’m sharing with you 8 dance related quotes that are applicable to anybody and everyone. So yes, also for YOU! Whether you are a magical mermaid, an unbreakable unicorn or a friendly fearless free-spirit… these words of wisdom are for us all. Maybe you know, maybe you don’t, but Liam and I dance for a living. We’ve been very fortunate to be able to dance at several places around the world. And the more we’ve done so, the more we realize how everybody is a dancer, in their own, unique way. Dance is another way we like to express ourselves, call it a universal language if you will. 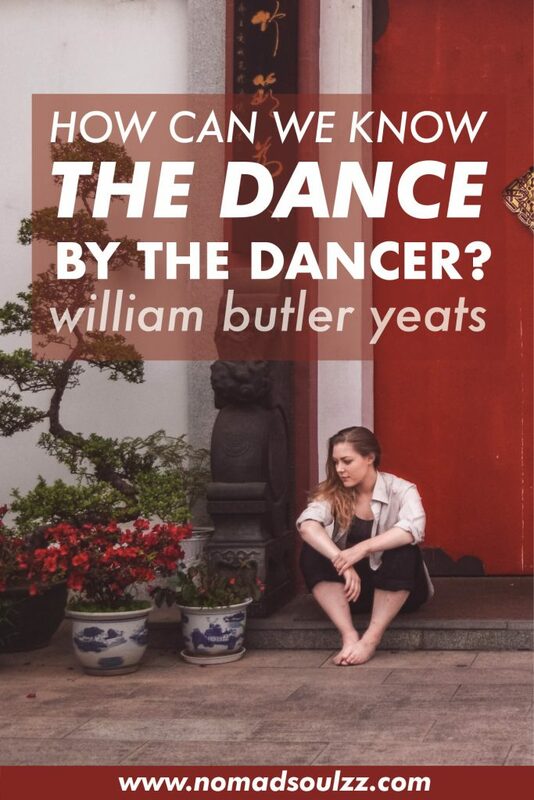 Dance has given us so much food for thought, fuel for personal development and most remarkable: space to heal. And in all honesty, Nomadsoulzz wouldn’t be complete if we didn’t add a bit of this spice to the meal. Dance more in that kitchen; tap them feet to the beat of your heart; sway to the sparkles of your soul. Boundlessly. 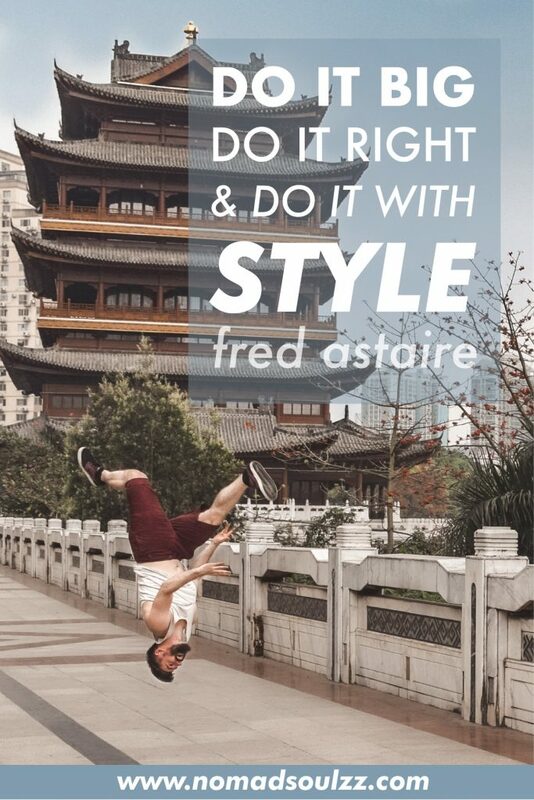 Why do we do things in life, when do we do things, how do we do things… It’s all up to your personal rhythm of life. A rhythm we find ourselves shaking our booty to, banging our head or spinning around in infinity. Whatever your reason to dance is, dance because it adds to your quality of life. May it be healing, may it be joyous, may it be serving your soul. Not only is this so much fun, it will make your dance (aka your life) so much more interesting. Pushing your limits in balance, exploring your personal boundaries… just being in the moment. I’ll be honest, my most creative and exciting movements are created from moments where I fell, stumbled, but OWNED it. Try it, what do you have to lose? One of our all-time favorites. Dance has the magic to express feelings and concepts beyond the power of words. Whether in your living room, the studio or on stage… tell your story. To express is your side of the coin, the interpretation is theirs. 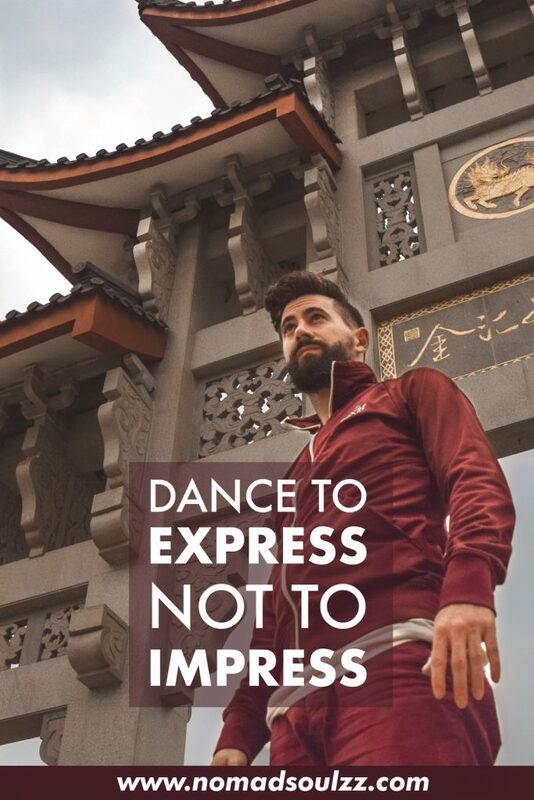 Dance in this quote can also metaphorically stand for your silent actions, the way you live your life, your attitude in general. I.e. by serving others (naturally) you are expressing your gratefulness for their company, the value of their existence or by cleaning up you are expressing your respect towards the space around you. If there is something we know for sure it is that we have control over ourselves, not the others. ‘Impressing’ is literally making someone feel admiration and respect. Your focus shouldn’t be here. If you truly find a way to express yourself in a mindful way, ‘impressing’ will come naturally. 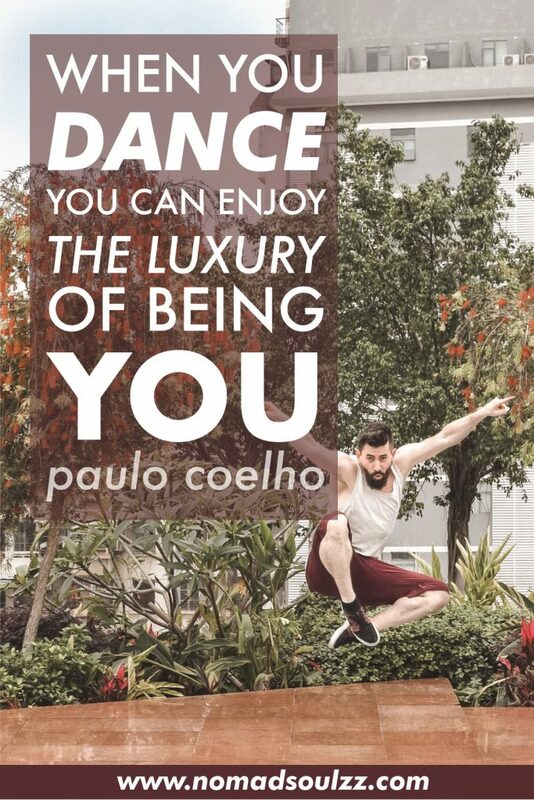 Well, you should always be able to be yourself… yet the luxury of enjoying it? Dance! I love this one. 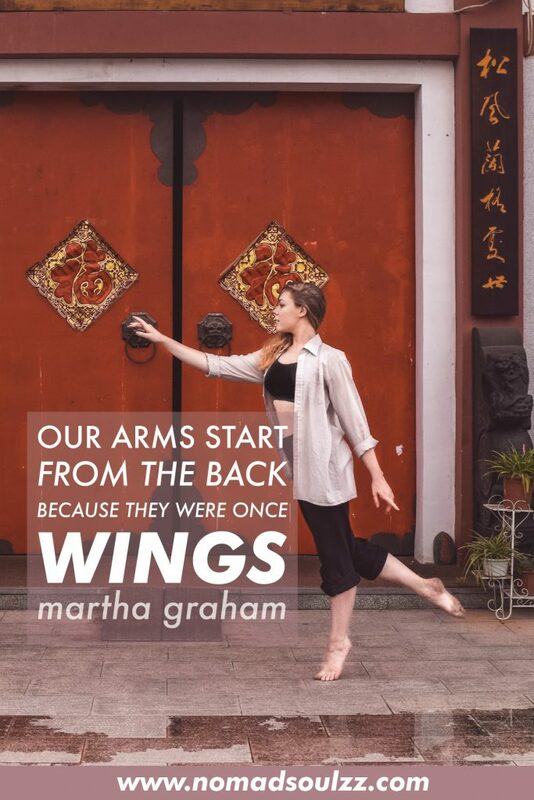 Martha’s words make my dancers heart spark and inspire me to treat my arms like wings. Dancing gives me a feeling beyond myself, flying further than my worries, my daily errands, and stress. I literally feel sometimes as if my wings are guiding me through an improvisation, boogie or hard-core dance choreography. How does this visualization resonate with you? 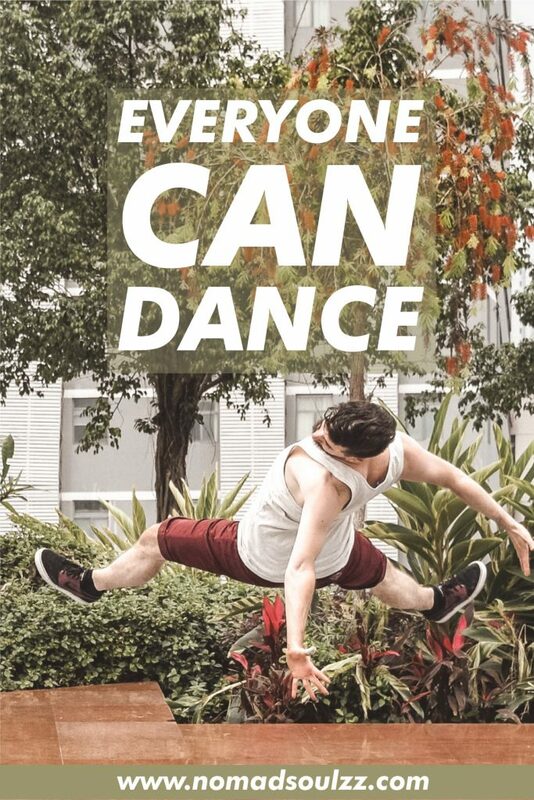 Let us be very clear, everyone, even people with the most severe physical or mental disability can dance. It’s all about the mindset. 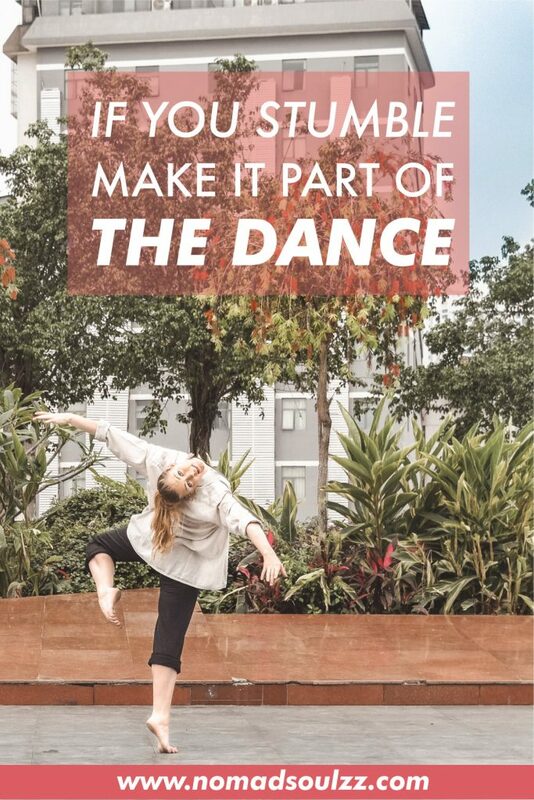 If you choose to dance, you are dancing. A B C, easy as 1 2 3, or simple like do re mi… you get it? In able to develop and improve as an artist of life and as a human being self-reflection and self-study are necessary tools. Regularly reflecting can help you discover layers you didn’t know about yourself and help you become the person you wish to be. In other words, never doubt yourself. You are more than good enough and never believe differently. Go 1000%, what do you have to lose? Or more importantly, what could you gain? We hope our selection has made you smile, think twice or at least made your finger dance across the screen. Which one was your favorite and why? Let us know in the comments! If you like these visual words of movement, make sure to check out Nomadsoulzz’ Wall of Growth. All the best affirmations and quotes on one page! Are you blogger/entrepreneur and would you like me to design something similar for your business/website? Feel free to check out this page with examples & pricing. This post is wonderful! I love to dance! Thank you so much Tanya! I am so happy to read you enjoyed this post. Dance is just amazing, isn’t it? !